CK Beauty is designed to emphasize the splendor of mature women. CK Beauty 100ml. Eau De Parfum is a floral fragrance designed for ladies subtle but sensual femininity which highlights its simplicity. Essences of jasmine and cedar tones were combined with exotic, sensual and warm ambrette. The beauty of this fragrance and add extra shine natural femininity. 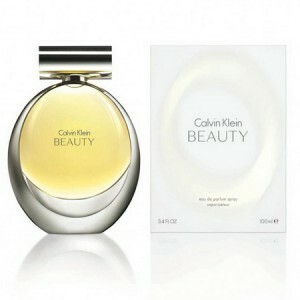 Due elegance, discretion and lush tones, Calvin Klein managed to become one of the market leaders in terms of perfumes. Indulge your senses with the fragrance Calvin Klein Beauty! Elegant and seductive aroma. This new product is not for young girls and women who know a lot about life. Calvin Klein Beauty - fragrance emphasizing inner beauty of its owner, her fortitude, elegance and sophistication are timeless. Sophie Labbe - creator of the compositions chosen for the top notes of jasmine, for the notes of the heart - a cedar base. created in 2010, the year with the participation of talented Sophie Labbe, were released as a fragrant ensemble to new collection of Fashion House. refined fragrance Calvin Klein Beauty sings elegance sophistication and eternal feminine beauty - exactly what is inherent in devotional connoisseur of fashion brand "thirty-something", enjoy the spirit and style of the collection Calvin Klein. Women's Fragrances Calvin Klein Beauty is designed to emphasize the splendor of mature women, because it is at this wonderful age really reveals the real beauty, femininity and charm and newfound maturity and self-esteem give women more charm. Fragrant composition Calvin Klein Beauty is the result of inspiration, beauty donated lilies and fragrance notes of ambrette seeds, jasmine and cedar symbolizes the beauty of a woman, her undeniable power over men and eternal youth of the soul.